1 Make puri discs using the puri settings on your Rotimatic. 2 Remove the flattened discs immediately from the Rotimatic and smear melted butter on both sides of the discs. 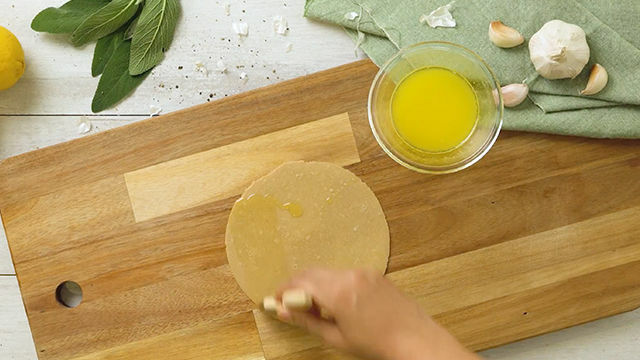 3 Using a pastry cutter or pizza cutter, cut the flattened puri dough to 1/2 cm width strips. 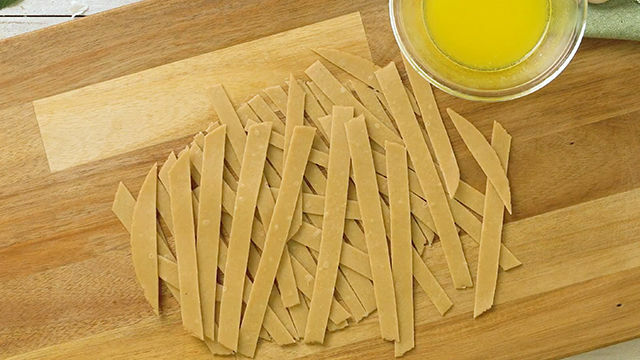 Refrigerate the pasta strips in an airtight container for 30mins. 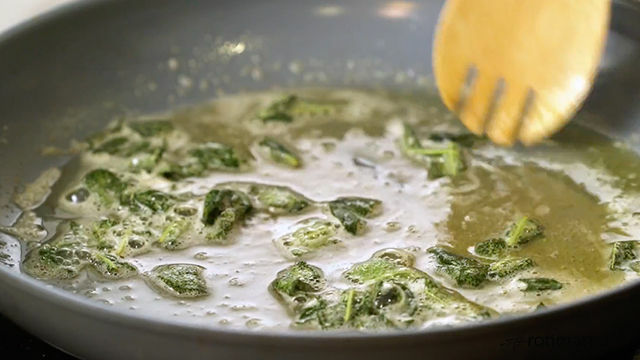 4 In a large pan, boil water with salt and a few drops of olive oil. 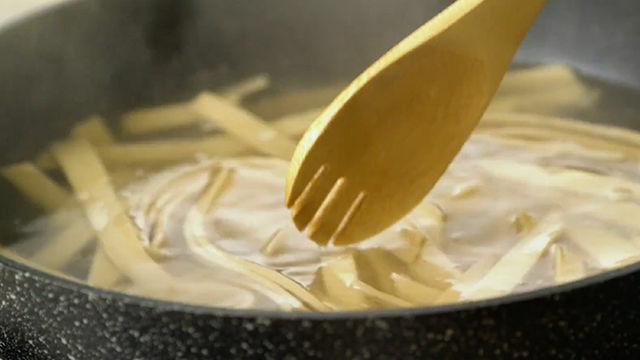 Add the refrigerated pasta pieces into the boiling water. Boil for 5-6 mins, until pasta pieces have all floated up. 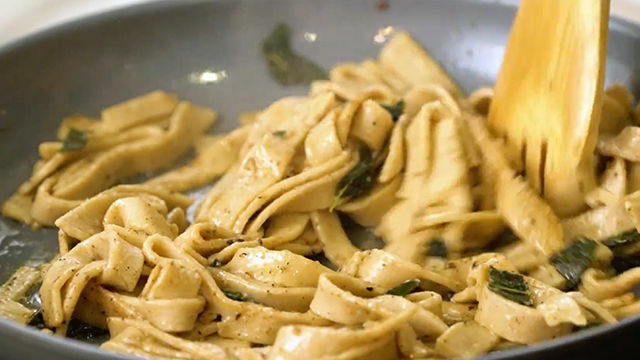 Drain the pasta and rinse with cold water. 5 Melt butter in a saucepan. When you see white foam, add the sage leaves. 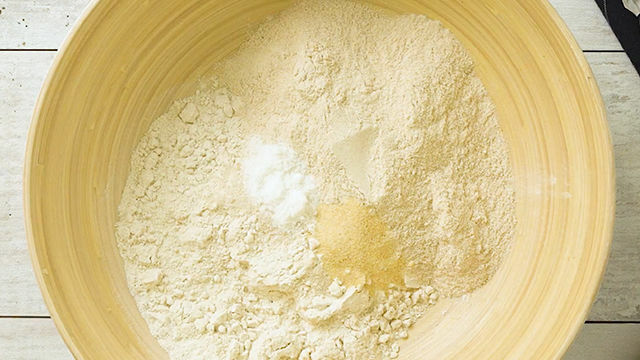 Keep stirring until you see a brown color and dark solids at the bottom. Add salt, pepper, and lemon juice to the sauce. 6 Switch off the flame and toss the pasta pieces into the sauce. Mix well and eat immediately.